Olga Peretyatko, one of the world’s most sought-after sopranos, made her international break-through after winning Plácido Domingo’s prestigious Operalia Competition, since then she has been a regular guest at the world’s most important opera houses and concert halls. Olga Peretyatko opens the 2018/19 season with concerts at the renowned stages of Grafenegg and Gstaad Festivals, as well as singing songs by Gabriel Fauré with the Basel Symphony Orchestra, celebrating the release of the highly acclaimed new album The Secret Fauré. She then heads to Asia to perform at the Forbidden Concert Hall Beijing and at Guangdong Xinghai, as well as singing Carl Orff’s Carmina Burana with NHK Symphony orchestra in Tokyo, with Paavo Järvi conducting. 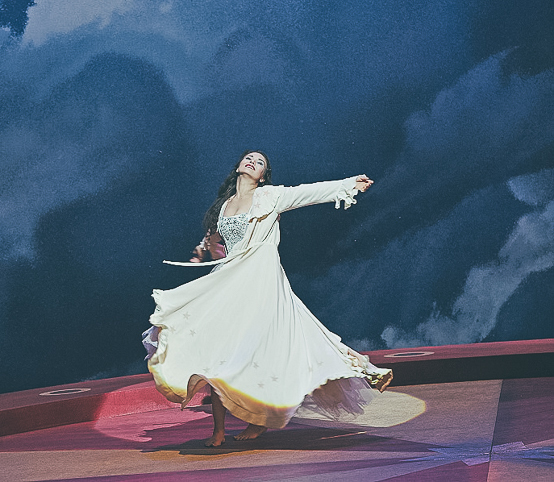 China is also the place for bringing her highly acclaimed portrayal of the role of Leila in in Wim Wender’s production of Les Pecheurs des Perles at China National Center for Performing Arts. 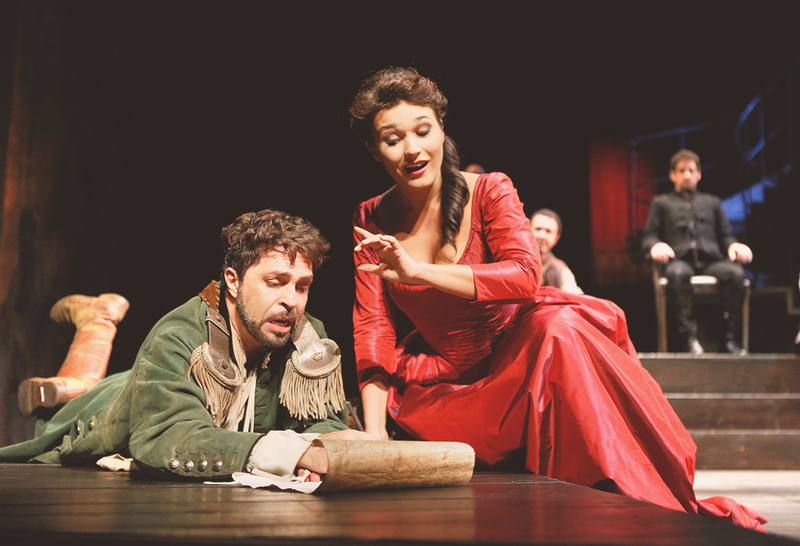 Besides that, in this operatic season she sings the title role of Anna Bolena at Opera Royal de Wallonie Liège and one of her signature roles, the title role of Lucia di Lammermoor at the Vienna State Opera, where she also performs Donna Anna in Mozart’s Don Giovanni. After the success of her role debut singing all ladies in Les Contes d’Hoffmann in 17/18, she presents it in concert at Festspielhaus Baden-Baden. Olga Peretyatko also takes part in Mozartwoche 2019, the Smetana Festival Litomysl, sings gala concerts at Budapest’s MÜPAand joins stage with Rolando Villazón at Konzerthalle Bamberg. 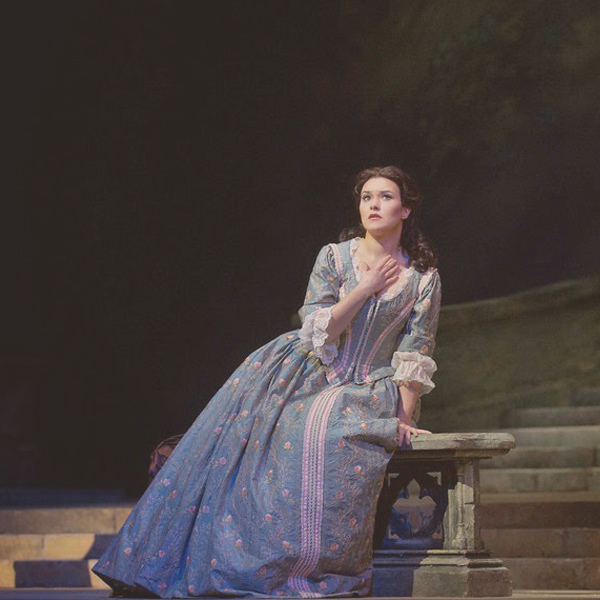 Her uniquely compelling voice and stage presence allow Ms. Peretyatko to combine an active opera career with frequent recitals at the most legendary venues. There is hardly a major opera house that has not yet invited her to sing lead roles, including Deutsche Oper Berlin, the Berlin, Munich and Hamburg state operas, Vienna State Opera, Zurich Opera House, Lausanne Opera, Opera Monte Carlo, La Fenice in Venice, Milan’s Teatro alla Scala, Teatro Real in Madrid, Opéra Bastille in Paris, Netherlands Opera in Amsterdam, La Monnaie in Brussels, the Bolshoi Theatre in Moscow, the Mariinsky Theatre in St. Petersburg, and the Metropolitan Opera in New York, where she returned several times, most recently to perform at Lucia di Lammermoor. Ms. Peretyatko has collaborated with the world’s most renowned directors, including Robert Lepage, whose acclaimed 2009 production of Stravinsky’s Le Rossignol in Toronto confirmed her status as one of the top sopranos of our time. 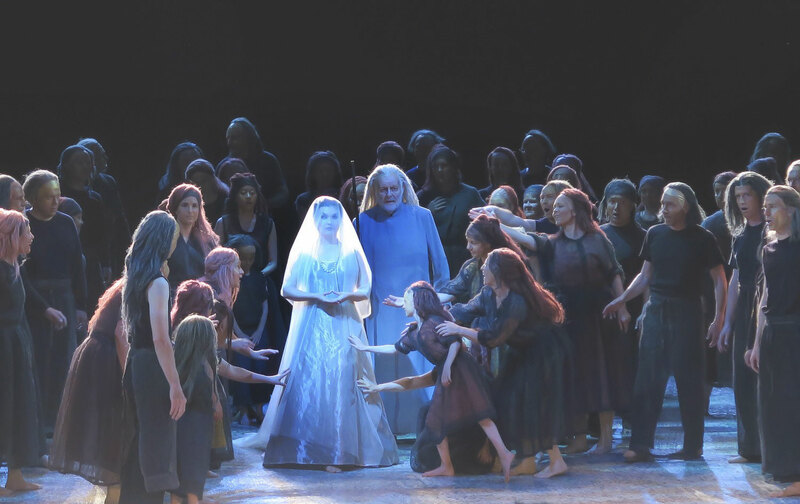 She sang Marfa in provocative Dmitri Tcherniakov take on The Tsar’s Bride, which was presented in 2013-2014 first at Staatsoper Unter den Linden and then in Teatro alla Scala. 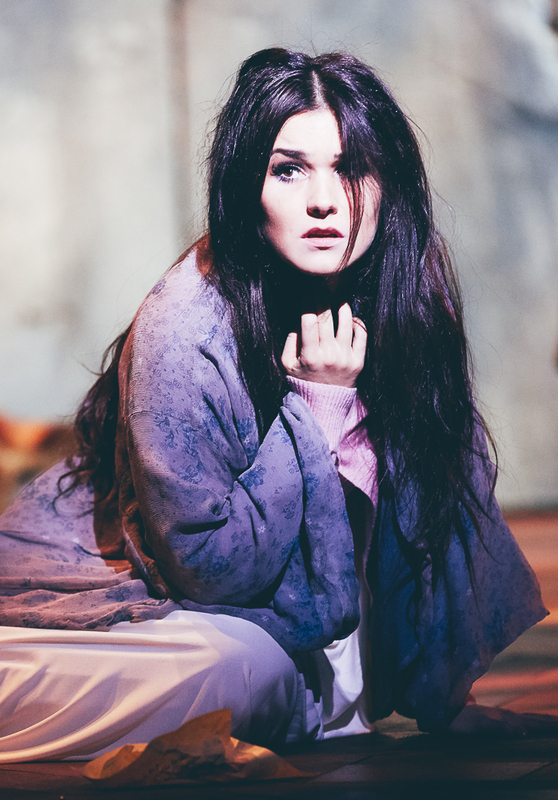 In 2017 she sang Leila, the main role in Wim Wender’s operatic debut in Bizet’s Les Pecheurs des Perles, under musical direction of Daniel Barenboim. She is a frequent guest star at the most prestigious opera festivals including Salzburg, Baden-Baden, Aix-en-Provence and Pesaro, Chorégies d'Orange, where video recordings of her performances in the productions of Matilde di Shabran, Sigismondo, and La Scala di Seta were released worldwide on DECCA, Arthaus Musik, and Opus Arte, respectively. Ms. Peretyatko’s recital schedule has included a performance under the Eiffel Tower for the Bastille Day celebrations in front of a live audience of 600,000 people and an international TV audience of several million viewers. In North America, she sang Strauss’ Four Last Songs at the Kennedy Center in Washington D. C. with the National Symphony Orchestra. The same repertoire was featured on a tour of China with the Orchestre Symphonique de Montréal and Maestro Kent Nagano; its concert recording made in Nante is regularly broadcasted on ARTE. In 2018 she also had her first solo recital at Milan’s Teatro alla Scala, and it was a great success. Olga Peretyatko is an exclusive recording artist of Sony Classical and has just released her fifth album The Secret Fauré, recorded together with tenor Benjamin Bruns and Sinfonieorchester Basel, with Ivor Bolton’s conducting. Her broad discography also includes Russian Light (2017, OPUS Klassik Award 2018), presenting some of the most beautiful arias and songs of the Russian repertoire; Rossini! (2015), awarded as Best solo album of the year at the renowned ECHO Klassik, and belcanto albums La Bellezza del Canto (2011) and Arabesque (2013). Olga Peretyatko was born and raised in St. Petersburg, Russia and started her musical career singing in the children’s choir of the Mariinsky Theatre, went on to study at the Hanns Eisler-Hochschule für Musik in Berlin and the opera studio at the Hamburg State Opera. She continues to receive major awards, including the high distinction of Premio Franco Abbiati della Critica Musicale Italiana.